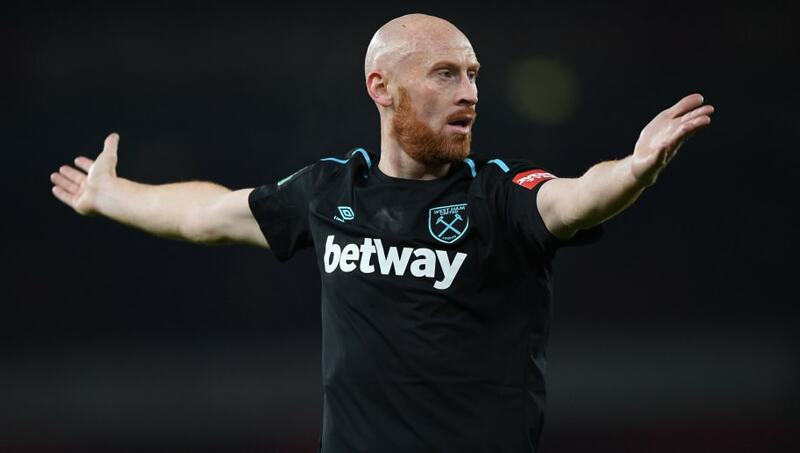 ​​Ipswich Town are reportedly looking to sign experienced ​Premier League defender James Collins on a free transfer after he was released by ​West Ham in the summer. According to HITC, the Tractor Boys are set to secure a move for the out-of-contract Wales international as manager Paul Hurst looks to add experience to his defence. Despite the closure of the transfer window, clubs can still sign free agents such as Collins. The 35-year-old centre back has plenty of Premier League experience to his name, as well as 51 senior international caps for Wales. He scored three times for his country in that time. Newport-born Collins started his career at ​Cardiff, making 86 appearances in all competitions before earning his move to the Premier League in 2005 with West Ham. During his four year spell at the London club Collins made 65 appearances in all competitions. In September 2009, he moved to fellow top-flight side ​Aston Villa for an undisclosed fee. Making 108 appearances in three seasons at Villa Park, Collins re-signed for West Ham in August 2012 and made a further 149 appearances before being released this summer. Over his two spells at the Hammers, he became somewhat of a fan favourite. Ipswich find themselves 23rd in the ​Championship table having failed to earn a win under new boss Hurst - after parting company with Mick McCarthy in the summer. The Tractor Boys have earned three draws so far this season, most recently in the east Anglian derby against ​Norwich. Hurst wants to add defensive stability and experience to his squad to help improve form, and is said to have made signing Collins a priority.